Want to increase conversion rate of your pre-work out muscle building and fat loss supplement? 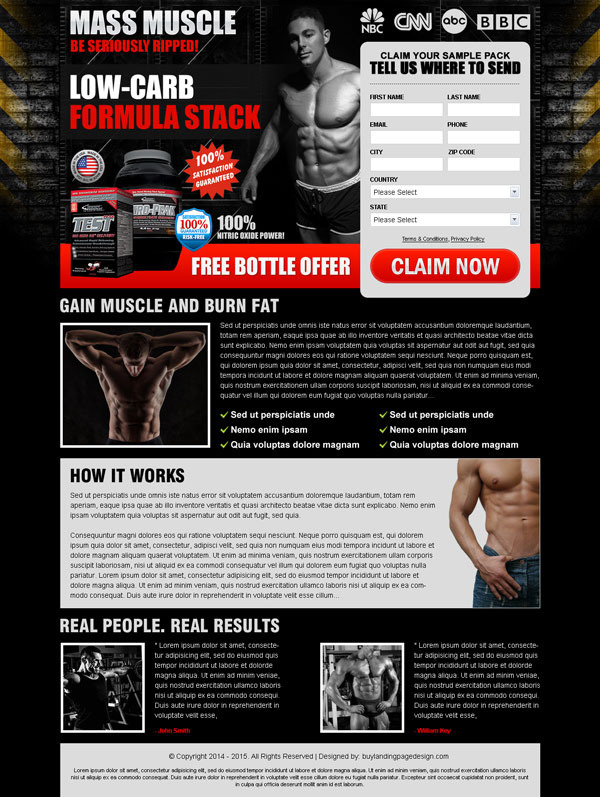 We have professionally designed clean and most effective body building landing page design for promoting your muscle building supplement, fat loss supplement as well as fitness training program. You can increase your conversion rates and boost your leads by using our professional, creative, appealing and effective lead capture and CTA body building landing pages.